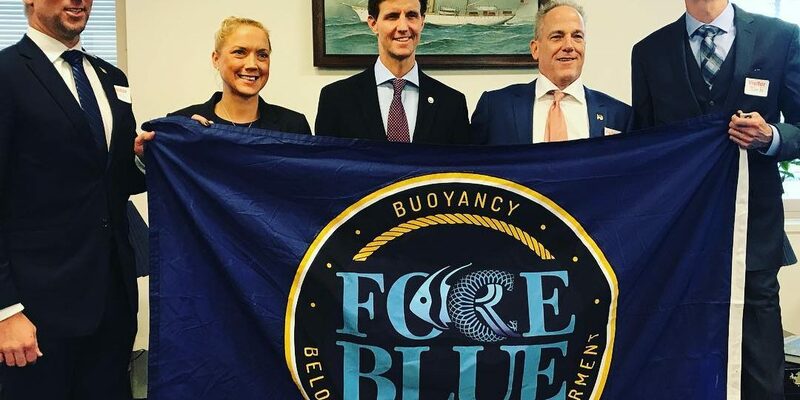 Earlier this year members of the FORCE BLUE team were flown to Washington, DC by the Ocean Conservancy for meetings with Senators, Congressmen and women and their legislative staffers on Capitol Hill. August 11 – 25 has been set as the date(s) for FORCE BLUE’s second two-week long Recruitment & Training (RNT) Deployment under the direction of Official Conservation Coordinator Reef.org. FORCE BLUE and Working Pictures have joined forces with marine conservation leaders from around the globe to present this important message on saving the world’s oceans and coral reefs and show what happens when veterans and environmentalists band together for a mission of hope. This winter FORCE BLUE Training Director, retired U.S. Navy Diver Angelo Fiore took time out for an exclusive interview with The Weather Channel, recapping the team’s recent deployment to Puerto Rico. As part of FORCE BLUE’s continuing work with NOAA and local coral restoration experts Sea Ventures Pro Dive Center following Hurricane Maria, FORCE BLUE team diver, U.S. Army Veteran Nathan Quinn, penned these dispatches while deployed in Puerto Rico.